St. Martin's Press, 9781250006219, 314pp. When Mrs. Patterson does the unthinkable and kidnaps Max, it is up to Budo and a team of imaginary friends to save him and Budo must ultimately decide which is more important: Max's happiness or Budo's very existence. 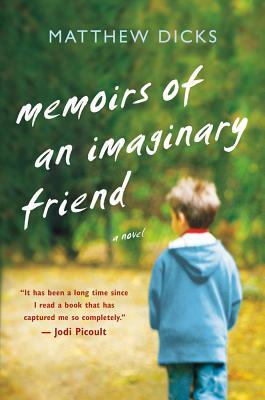 Narrated by Budo, a character with a unique ability to have a foot in many worlds imaginary, real, child, and adult "Memoirs of an Imaginary Friend "touches on the truths of life, love, and friendship as it races to a heartwarming . . . and heartbreaking conclusion. MATTHEW DICKS is a writer and elementary school teacher. His articles have been published in the "Hartford Courant "and he has been a featured author at the Books on the Nightstand retreat. He is also a Moth storyteller and a two-time StorySLAM champion. Dicks is the author of two previous novels, "Something Missing "and "Unexpectedly Milo. "He lives in Newington, Connecticut, with his wife, Elysha, and their children, Clara and Charlie.